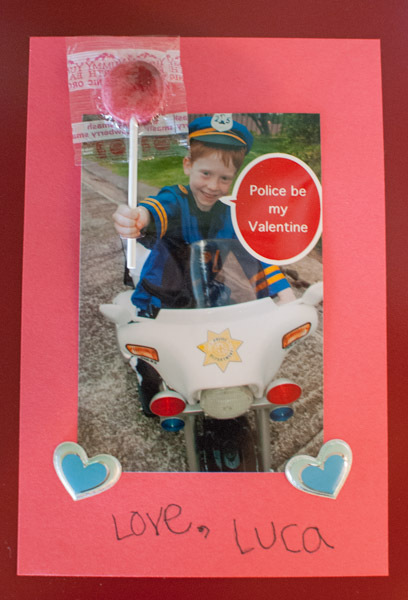 Have you seen the photo Valentine’s Day cards that look like a child is holding a piece of candy? I decided to try it and will share what I learned. I also have directions for an easy-peasy-lemon-squeezy version that you can pull off in moments. Take a few shots, look at them on the computer, and then take more shots if needed. If you are going to add text you will need to add some space around your child. It is better to have too much space and crop the photo than not to have enough. Use your editing software or an App to add text. You may choose to skip this step, print the picture and add words on the construction paper background. Use an X-Acto knife to make a slit in the photo above and below your child’s hand, then insert the lollipop. Glue the card to a construction paper background. Add stickers and a greeting if you wish. 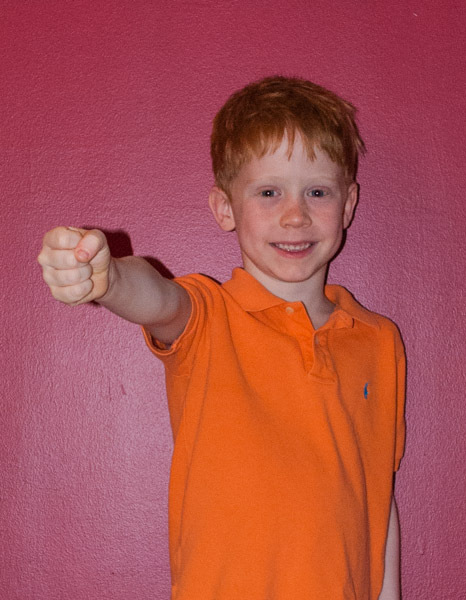 Take an indoor shot against a plain background of your child with his or her hand held out. Print this out, make slits above and below his or her hand and thread the lollipop through. Glue to construction paper, have your child add a greeting and you are done. Or, use an App such as Photogene to add “Happy Valentine’s Day from So-and-So.” Add the candy to the card – no construction paper needed. Decide on the kind of candy your child will hold. The lollipops looked easiest so I had my son Luca hold his hand as though he was holding it up vertically. We also considered a Tootsie Roll held above his head with two hands. Cruise the internet (start with this site!) for cute sayings. 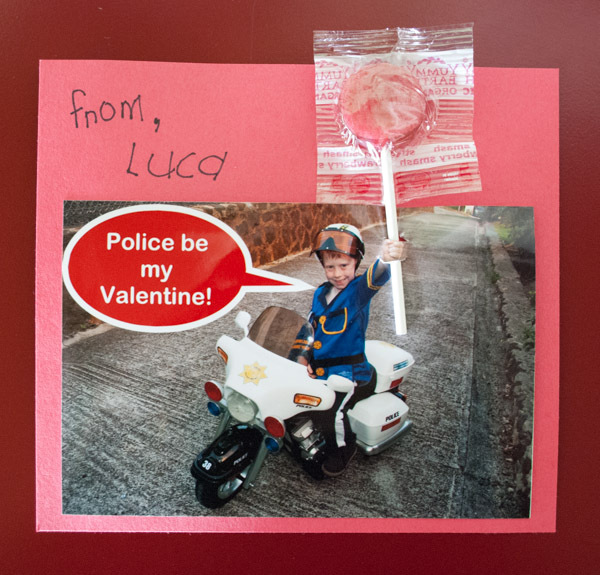 Luca really liked the “Police Be My Valentine” saying so we added the costume and motorcycle to the photo. Make sure your child’s hand is held out in front of him, towards the camera. The closer is it to the camera, the larger the hand will appear in the photo and the easier it will be to slide the lollipop through. If you decide to glue the photo to construction paper, thread the lollipop through the slits before gluing, as the photo will not lay completely flat. If you skip the construction paper, secure the lollipop stick on the back of the photo with a bit of tape. This entry was posted on February 4, 2013 by mdaucello in Crafts, Holidays, Valentines.